(SPOT.ph) Just another reminder of how fast time flies: It’s been six years since Jamba Juice first opened, blending fruit smoothies that made us feel like we were living healthy, if only for a moment. 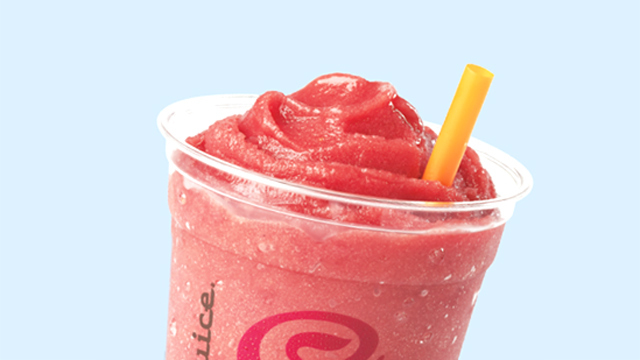 A milestone like this calls for a celebration, so mark your calendars for November 11, Saturday, because Jamba Juice has a buy-one-take-one smoothie deal! 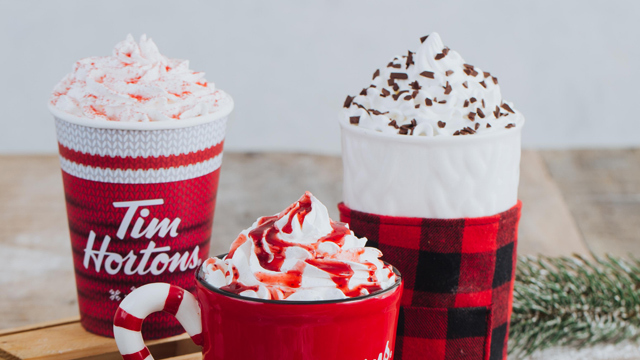 To avail of the promo, order a 16oz smoothie in any of the following six flavors: Orange Dream Machine, Strawberry Whirl, Island Strawberry, Peach Pleasure, Banana Berry, and Apple N’ Greens, and get another one of the same or lesser value, for free. Better hurry though, because the promo is only available until 6 p.m. 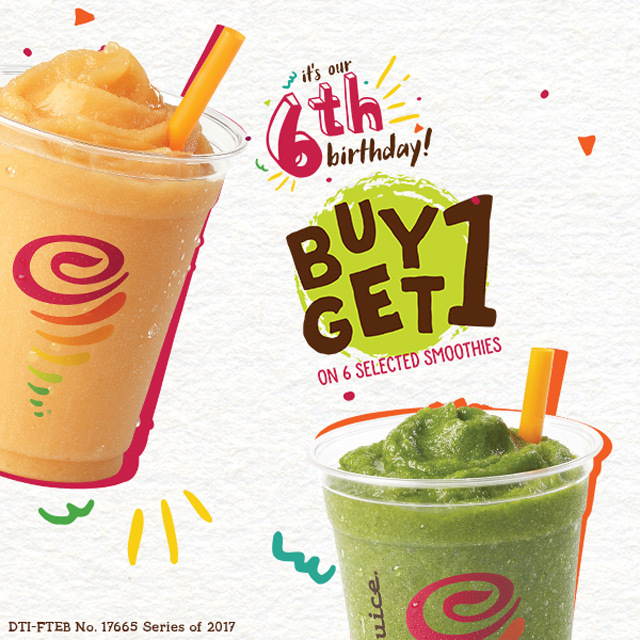 The promo is available in all Jamba Juice branches except NAIA, Enterprise, Ayala Malls The 30th, and Solenad 3, Nuvali.